After what some Californian&apos;s believed was a UFO casually flying over the state on Saturday turned out to be just an ordinary Naval rocket test-fire, a picture of a seemingly dead, unidentified creature allegedly found in a California resident&apos;s backyard surfaced on social media on Sunday — and naturally, the Internet cried "alien." According to the Daily Star, the somewhat graphic picture was originally posted to Reddit with the caption, "Friend found this outside her house. Wtf indeed..." It was also shared by a Facebook user identified as Gianna Peponis of San Jose, California, who claimed to have found it in her backyard after hearing a scream at 11:30 p.m. local time Sunday. It appeared Peponis had removed the picture but has acknowledged that it&apos;s still going viral in a post on her Facebook page. Lol aw that weird alien thing was discovered in San Jose :-( pretty sure if I didn&apos;t move, I would&apos;ve found an alien too ???????? 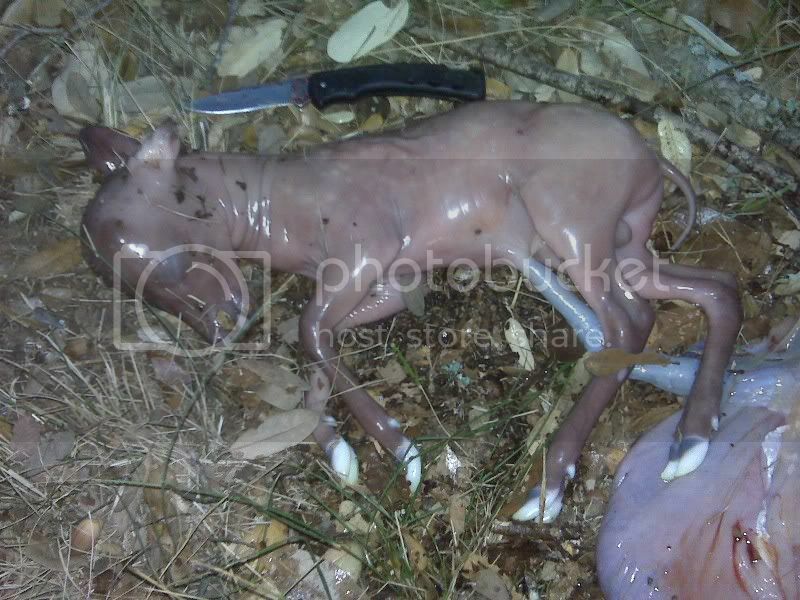 One Reddit user commented in the thread where the original picture was posted that the body found is likely a half-corpse of a deer fetus, pointing out that it looks similar to this picture of a deer fetus. Other Reddit users&apos; comments made similar points. "Sometimes when mother deer/cattle are in fight or flight situations they will evacuate their uterus to allow for a quicker escape," one Reddit user wrote. "Not saying that&apos;s what happened here but it could&apos;ve."